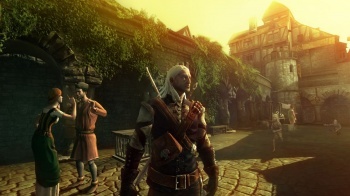 CD Projekt plans to Witcher up E3 2011 with a brand new game announcement. RPG fans might have only recently stepped back into Geralt's shoes in Witcher 2, released on May 17, but CD Projekt RED already has some more Witcher action to bring into the world. The company is getting ready to reveal a new project at E3 2011 that's Witcher-related, but not associated with a previous title in the series. CD Projekt's Pavol Buday tweeted about the new project with little details, only saying that it'll be unveiled at E3. Fortunately, CD Projekt senior producer Tomasz Gop told Eurogamer: "I can't say anything obviously for gazillions of reasons but it is a Witcher game, and I can say that console gamers might be interested in it." A console Witcher title called Rise of the White Wolf was announced in late 2008, but later suspended due to various issues during development. A recent report hinted that the project was back in action, and this new information seems to confirm that Rise of the White Wolf, or something similar, will be shown off at E3. CD Projekt added that the project is not Witcher 3. "No, I'm not going to lie to you, we haven't started work on The Witcher 3," Gop said. "But it's possible we might do it in the future." Whether it's Rise of the White Wolf or not, fans of the mature Witcher universe and console owners that have never played the series before really can't lose. And you never know, it could even be a Project Cafe title.